Cayuse will be performing server maintenance and will be unavailable on Saturday, April 6th from 8:00 am to Noon. 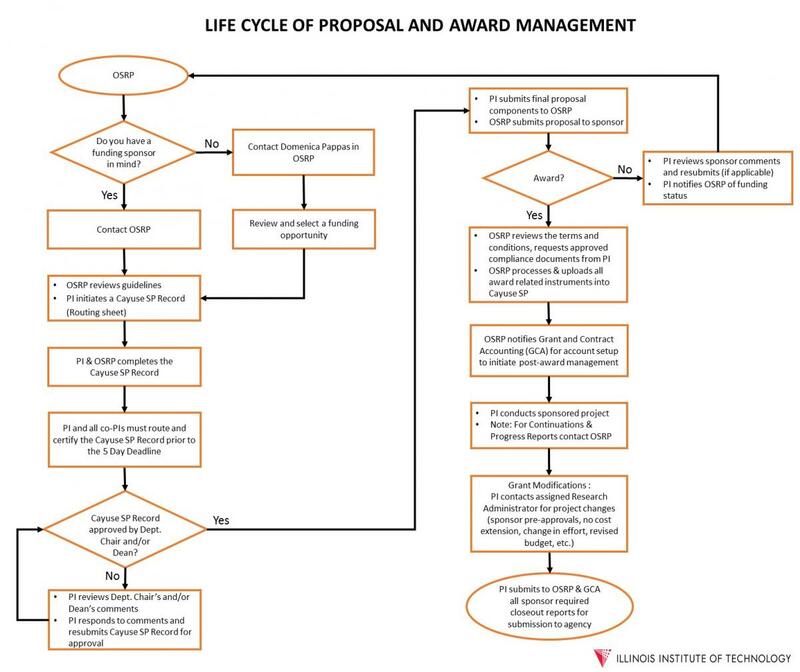 OSRP provides comprehensive services for IIT faculty and staff on the preparation, review, approval, submission, management, non-financial reporting requirements, and close out procedures of sponsored project proposals. 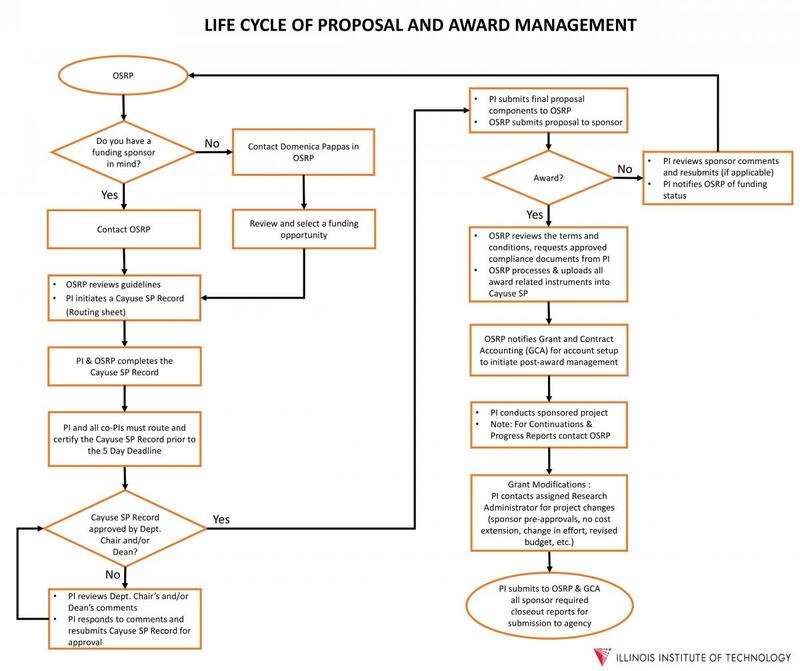 Our services extend to providing oversight for the pre-administration of awards for grants, contracts and other sponsored-related award instruments for federal and non-federal projects, including industry agreements. To get started with Cayuse/PI Portal please click here. 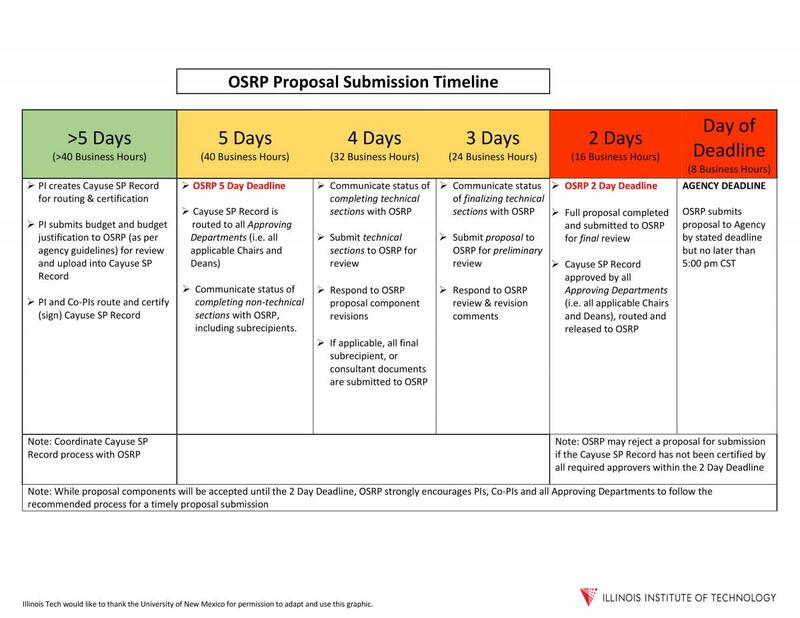 While OSRP is committed to helping all IIT principal investigators (PIs) prepare and submit successful proposals, OSRP prioritizes proposals that meet internal deadlines.